Chicken nuggets, hot dogs, mac and cheese, PB&J: all favorite kid fare. But what if that’s all your child will eat? There are plenty of parents who struggle to convince their children to make healthy food choices. No one wants a power struggle with a “picky eater,” but at the same time, what other choice do you have? Today we will address some options to help your choosy eater make different choices and expand his or her tastes. It won’t be a quick process, but it is possible to encourage a balanced and diverse diet. While some kids just get in a rut and only want the sweet or salty foods that are familiar, some genuinely can’t make themselves try new things. If you feel that your child’s pickiness is outside the norm, it is worth speaking to her doctor about your concerns. Certain sensory issues or physical problems make it very difficult for affected children to expand their diet. If this applies to your child, it is important that you address the underlying issues under the advisement of medical professionals. Before you begin introducing new foods, it’s good to get a grip on where you are currently. Make a list of everything your child will eat, whether it is willingly or with some complaint. This list may be very short, but that’s okay. This is only your starting point. Moving forward, try to offer at least one “yes food” from this list at every meal. A picky eater can wear down parents very quickly. After all, it is far easier to just feed a child what he will eat (even if it’s only french fries and pizza) than fight with him every meal. Once you have assessed your current dietary situation, it’s time to form a plan to introduce new foods. Since you are already offering “yes foods” at every meal, you know your child is not going to starve. Additionally, offer at least one new food as well. You don’t need to insist that your picky eater try the new food. Just having the new food present will help him adjust. Choose new foods that are similar to yes foods. For example, if the only vegetable your child will eat is green beans, try green peas or asparagus as your new food. While these foods are different, they offer a similar feel on the plate and may tempt your child into a taste. So, it’s been a month and your child still isn’t really eating new foods. Don’t despair! It’s entirely normal for a child to hold out with picky eating. Research shows that it can take up to 15-20 exposures to a new food for a child to try it. That’s a lot of exposure! 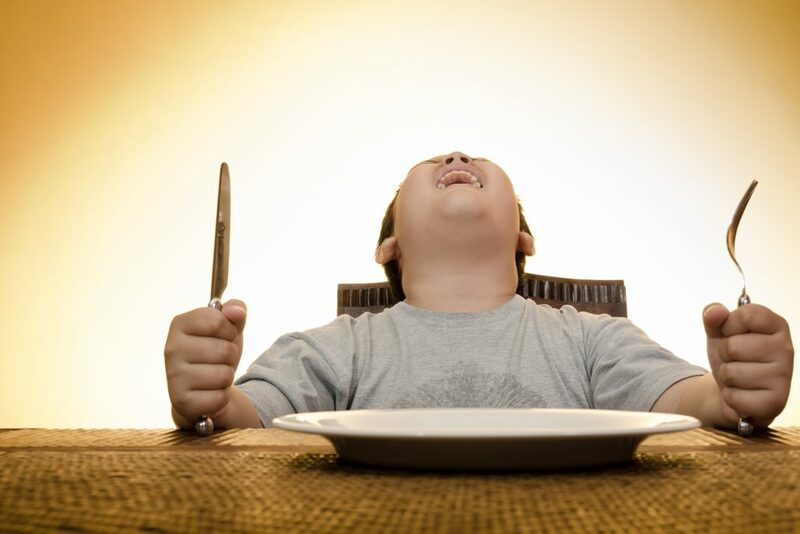 Attempting to force a child to try a new food usually backfires and makes them more determined not to eat it. Instead, try to play it cool and just keep offering. Getting kids involved in meal preparation is a great way to encourage them to try new foods. As you shop for groceries with your child, ask them what looks good and what new foods they’d like to try. When you are cooking, invite them to help you chop, dump, stir, and season the food you are preparing. After seeing the preparation, your child will take ownership of the meal and may decide it’s worth trying after all. Additionally, grocery stores like Publix and Whole Foods regularly hold cooking demonstrations that may capture your child’s imagination. If you want to really have fun, local establishments like Hal’s Kitchen, Cozymeal, and Sur La Table offer cooking classes. While your child may not be old enough to participate, you could ask if they could observe. A picky eater is a stressful issue. While you want your child to be happy and comfortable, you also want them to be healthy. By consistently supporting and encouraging your child without shaming or pushing him, you have the opportunity to introduce him to a world of exciting and flavorful new foods. Are you looking for childcare that encourages healthy eating and food habits? Look no further than Legacy Academy Snellville. Call or visit today to learn more.